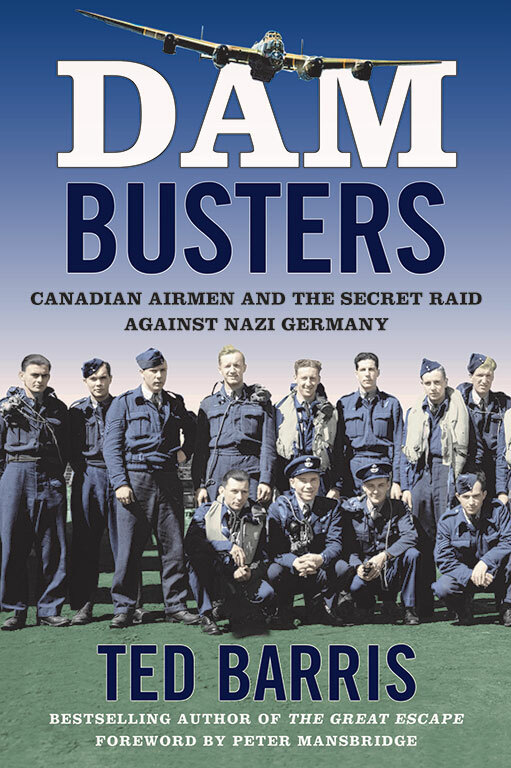 The iconic Dam Busters raid is well-known in Britain thanks to books and films but less well-known in Canada. In the spring of 1943, an elite squadron of mostly experienced pilots and crews was created for a top-secret raid on Germany’s hydroelectric dams. For several months they trained in low-level night flying, learning to drop a top-secret “bouncing” bomb with extreme precision. On the night of May 16 to 17, 1943, the newly created 617 squadron released its weapon in a daring and costly raid that breached the Mohne and Eder dams. Despite the spectacular results of the raid, German industry recovered in the months ahead, and the blow was not nearly as damaging as had been hoped. Canadian historian and storyteller Ted Barris has assembled an excellent review of Operation Chastise that also looks at Canada’s war in the air and the results of the Commonwealth Air Training Plan. The Canadians who participated in the raid — including Torger Taerum, Lewis Burpee, John Fraser, and Vincent MacCausland — should be held among the highest order of those who served during the Second World War. Dam Busters provides an exceptional tribute to their stories and sacrifice, something that was long overdue. Check out our top ten list of best-selling books in Canadian history and biography — updated monthly. Book Review: At the heart of this book are nine personalities who, in Gray’s opinion, had an outsized impact on Canadian values and consciousness, though not all are at the top of our history who’s who. Book Review: This large, varied collection of essays is connected by a desire to uncover Toronto’s queer history in all its diversity.